It’s more than just a bit unsettling to learn about the efforts being made by gover nment to pass the likes of Bill C-11 and Bill C-51. After reading Dwayne Winseck‘s article (Un)Lawful Access: Wiring Canada’s Networks for Control and watching the video (Un)Lawful Access, I had flashbacks to Orwell’s 1984 in high school. As discussed in today’s class, the notion of the government, or any public agency (ie. police), having access to personal information at any time, watching your every digital move without a warrant, and without your awareness, is un-Canadian to me. If Bill C-51 were to pass, it would be tantamount to saying that it would be legal for the government to blast through your front door at any hour of the day or night without permission, nor communication, nor a warrant, to dig up information on your life’s transactions. The conspiracy theorist in me has to think the Canadian government is being strong-armed into forming legislation that will look good to other governments as the level of inter-state cooperation in security increases globally. If this legislation were to pass (which it may not if enough people sign the petition), I for one would be dealing in cash a lot more often! Apart from needing a degree in biology in various sections, The Hive Mind by Benjamin Phelan was fascinating. 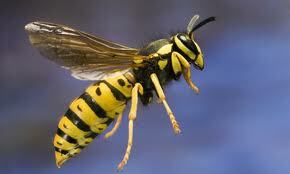 I knew the insect world was complex, but this is ridiculous – it forms visions of a world in another gala xy. On another level, it was entertaining to read through the academic banter between the traditionalists and the “out there” thinking of E. O. Wilson – what a battle! The part that jumped out at me most was the statement Wilson made that “groups of altruists will always outperform groups of individualists”. That notion of practicing individual sacrifice for the benefit of the collective – similar to what is believed to be a human condition and something that building networks online require in order to thrive. This led to other words forming in my head: socialism, communism. Is the reigning queen of the hive running a communist empire? I know they are just insects, but somehow the fact that this model exists in nature, it becomes easy to understand why aspects of this mindset are alive and well in parts of the human world. Sloan Wilson’s perspective is that “altruism is advantageous at a larger scale, and that is the scale at which natural selection selects it”. In theory, I agree, but it is the rolling out of that theory where there are things that can derail the ideal – things like greed and corruption, for example. I wonder if there is and underworld in the hive? Go to the following link and scroll down to the video to watch (second image down) All.I.Canâ€™s Kootenay Street Segment Goes Viral. 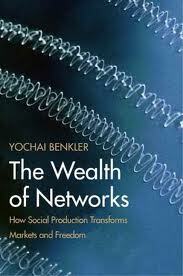 Last night I read chapter ten of Yochai Benkler‘s Wealth of Networks – a great read that responds to the early concerns by certain groups or researchers that the introduction of the internet was the beginning of the end of relationships among family and friends. Reports such as the Internet Paradox by Robert Kraut and the “preliminary report” from the Stanford Institute for the Quantitative Study of Society inject a sense of fear in the literature. Basically, they claim that the greater the use of the internet, the less people connect meaningfully with their family and friends, and therefore the looser the ties they have with those they already know. Benkler was incredibly smart in how he addressed these reports. My sense is that he knew that if he objectively revealed the findings in these reports as a basis for his response to the concerns, explaining why the concerns were sensationalist would require little energy. Both the questionable methodology of these reports, and the assumptions made within, are aptly pointed out by Benkler. Rather than displacing “real” contact with family and friends, Benkler suggest that the internet can supplement existing relationships while also meeting new people. He also cites Howard Rheingold who explains that when “technology becomes available to people anywhere, they inevitably build virtual communities with it, just as microorganisms inevitably create colonies” – speaking to this almost instinctive need or impulse of humans. Rheingold also intimates that the internet is on par with other revolutionary communications technologies, such as the printing press or the telegraph. For my work in international education, relationships would be extremely challenging (not to mention expensive and time consuming) without the internet. I can’t imagine doing my job without it. Conversely, when I am overseas for work, my online connections with home supplement my existing relationships, rather than supplant them as argued by Benkler. The article, Social Software and the Politics of Groups, is my first experience of a doomsday perspective by Clay Shirky. He seems concerned. Concerned that the web, and the social software living in it, is reaching a point where a healthy dose of focus is needed to prevent it from fizzling out. 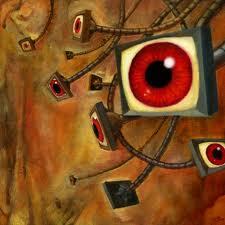 In his article, Shirky differentiates the internet from earlier media (printing press, telegraph, radio, etc.) as a structure on which conversations can occur “among many people at once”. He notes “the radical change was de-coupling groups in space and time”, allowing for these conversations to happen. Shirky also reminds us that social software is still relatively new. He says “we are still learning how to build and use the software-defined conference tables and campfires we’re gathering around”. As we know from Shirky’s Here Comes Everybody, he is a big believer in the power of crowdsourcing and collaborative efforts online. He suggests that groups exhibit different behaviours that “cannot be predicted by examining the individuals in isolation” and that this creates a design problem for social software. Social software had been created on the assumptions that groups can be of unlimited size, offer unlimited access and not hold the individual to a higher-level duty or common good. Shirky suggests that because “the network is now a global metropolis”, these criteria need to change in order to protect groups. Wikipedia is an example of the kind of group that has done well in the current online reality – those that limit growth or restrict size, have barriers to joining or obtaining status as a “good member”, and impose enforceable norms for the good of the community. From what I understand, this supports the notion of the Semantic Web coined by Tim Berners-Lee. These barriers are referred to as examples of “constitutions”, hence the article’s title, that govern software or groups like Wikipedia. Of course, this governance creates a culture. When we say so and so is a “Wikipedian”, it means something. Shirky gives examples of constitutions that exist or could exist, such as Slashdot. He also recognizes “that the individual’s reaction to the software is the critical factor” – individual needs must be met while creating these constitutions. Further, he gives ideas for creating barriers that might be a component of such constitutions. While this language of organization and politics seems to contravene open-source thinking, it does make sense in the bigger picture. Perhaps Shirky isn’t being all doom and gloom after all – he may just be saying what needs to be said. 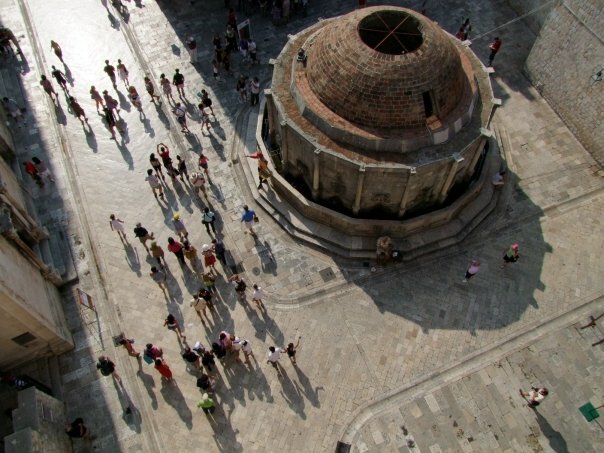 The image in the header of this blog is taken from atop the fortress-like walls of Dubrovnik, Croatia’s Old Town. The structure in the image is apparently a very old water cistern/catch that serviced the inhabitants should they need to be closed off from the outside world (ie. in cases of battle). Now, the entire town is a UNESCO World Heritage site and a hugely popular tourism destination. Highly recommended.